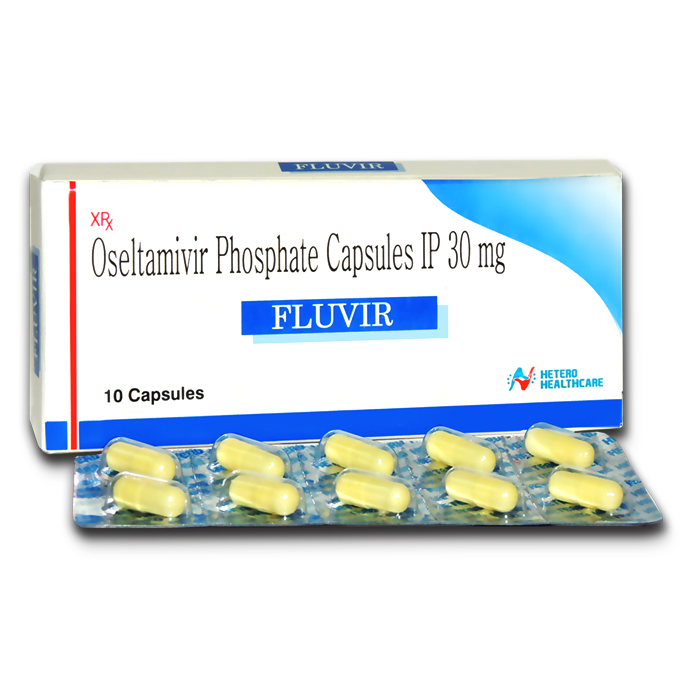 Oseltamivir is an antiviral drug recommended by International authorities for the chemoprophylaxis or treatment of influenza A and B virus. It is potent and selective inhibitor of neuraminidase enzyme of the influenza viruses A and B.
Fluvir 30 mg Tablet is used in the treatment and prevention of influenza (flu). It is also used in the treatment of H1N1 influenza (Swine flu). It would be advised by your doctor when you have symptoms of influenza (flu) or if there is influenza virus outbreak in your community.